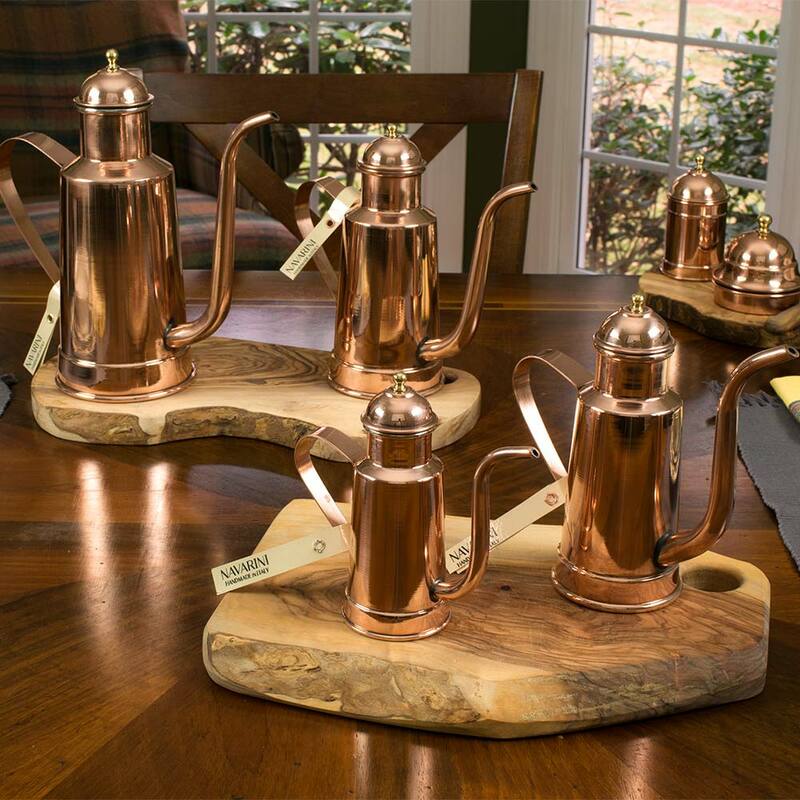 What ultimately becomes a beautiful hand-crafted copper Oil Cruet is actually one of the most challenging products for us to make. 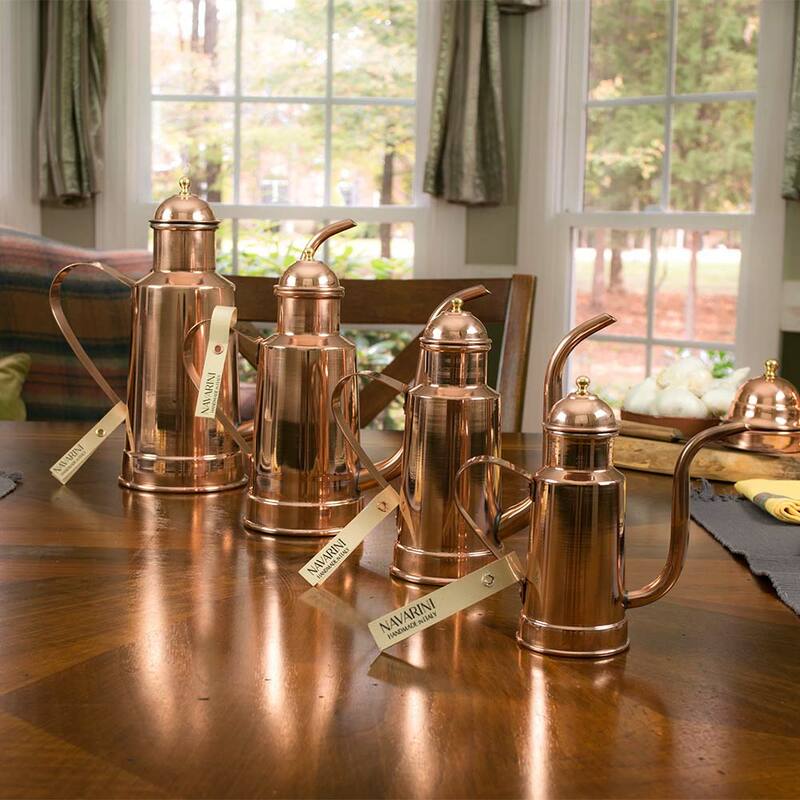 Several manual processes are necessary to create the spout, body, and lid. 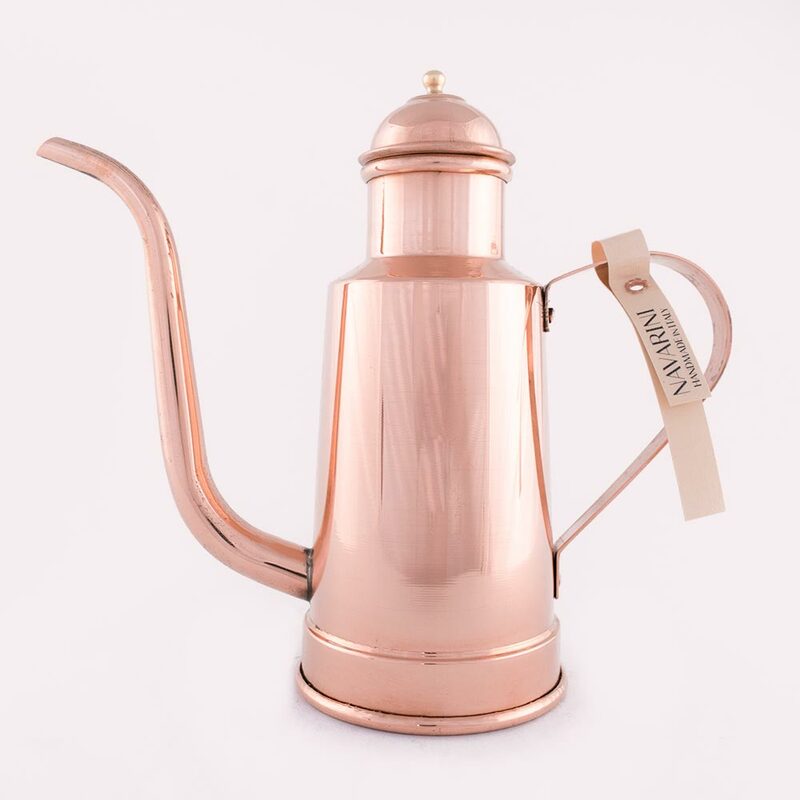 However, the most challenging and important part to make this oil cruet last for generations is tin-lining the inside of this beautiful oil cruet. 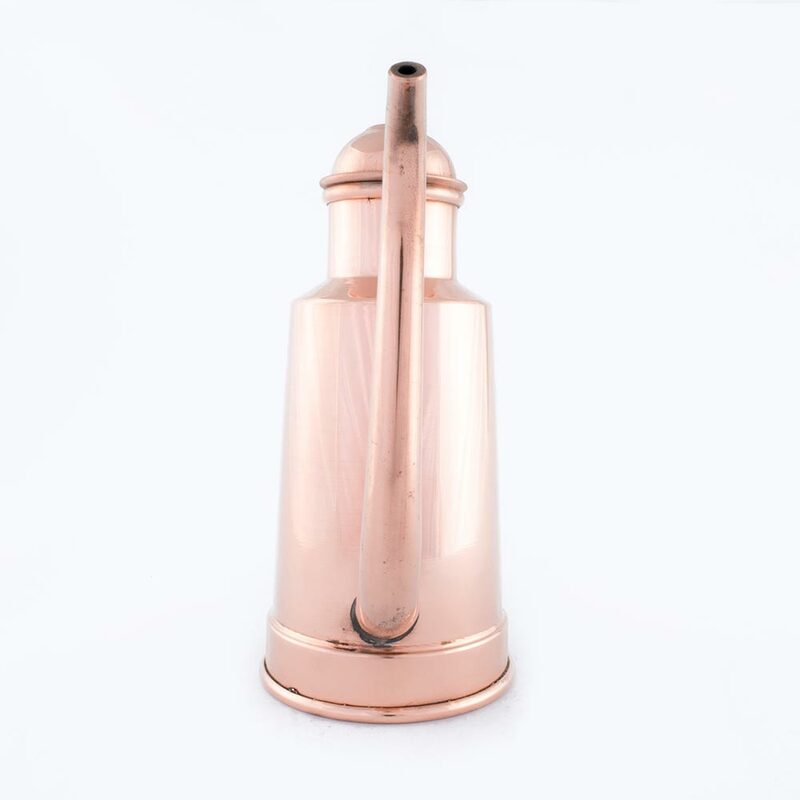 Our Oliera Oil Cruet is an actual working oil cruet meaning the entire inside is lined with a high-quality tin lining - even the spout. To ensure an even layer of tin, covering every part of the inside by hand requires the patience and skill of a true craftsman. 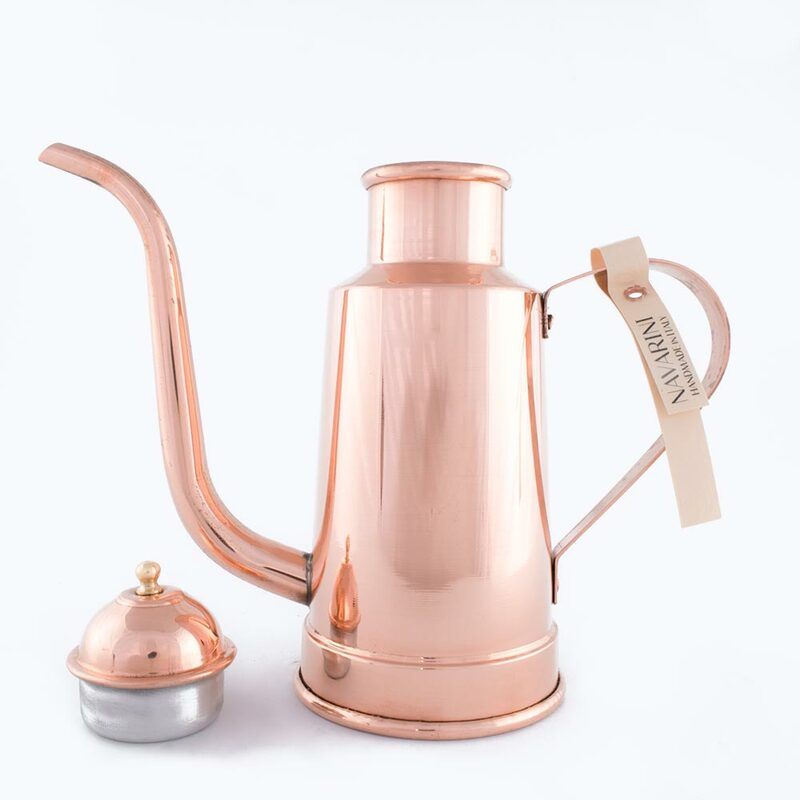 Our beautiful copper oil cruet is available in 4 different sizes: 0.16qt, 0.36qt, 0.6qt as well as 1.1qt capacity and is entirely handcrafted in our workshop in Ravina, Italy. 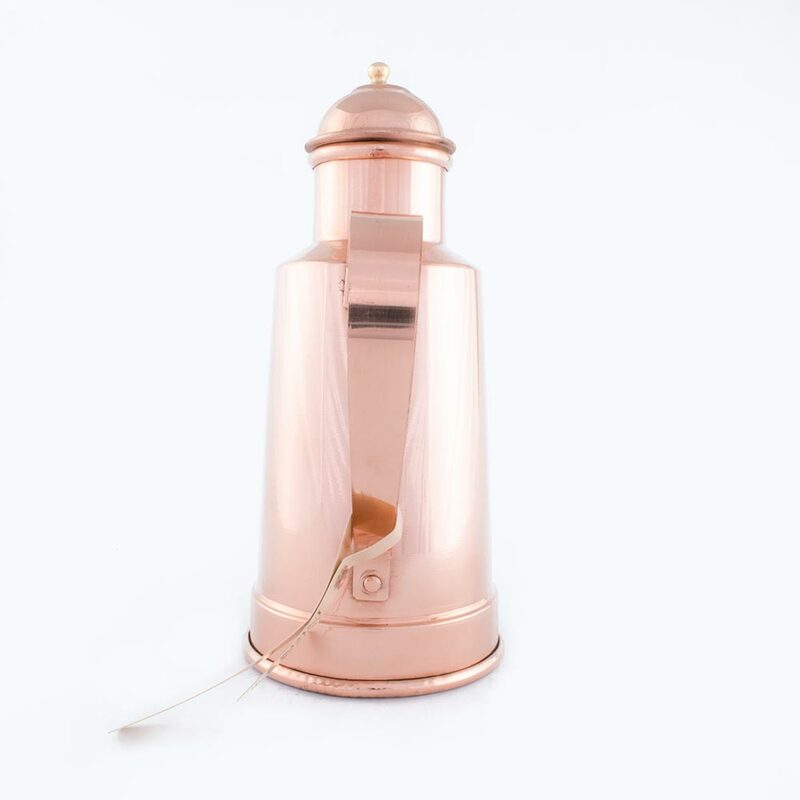 As all of our products, our copper oil cruet is hand-crafted in the Navarini workshop in northern Italy. Constructed using several individual processes, the inside is completely protected with an even layer of 100% pure tin.